Men, there are those among us who swear off sandals. Take for example, Rule Number 121 from Walker Lamond’s Rules for My Unborn Son, which states “Men should not wear sandals. Ever.” And then, there are men like me, men who grew up wearing shorts and sandals every day of his humid, sticky summers in the Midwest. 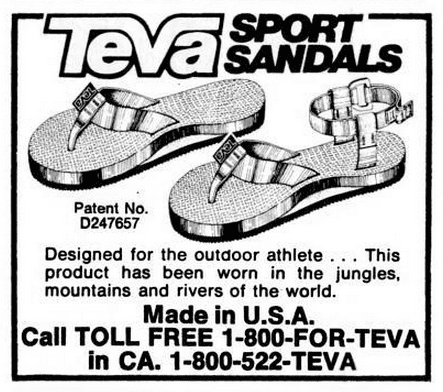 After discovering Teva, my hot summer days would never be the same. I grew up a pool rat, fortunate that I grew up in a neighborhood with a twenty-five yard swimming facility a short bike ride away. It’s hard to remember a day in the entire summer of 1993 when I walked out of the house wearing shoes, let alone sandals. My feet are ugly and mangled from years of stubbing toes on concrete and tile and sharpening — yes, sharpening — my nails to get a leg up, so to speak, on the competition in water polo games, but guess what: I still love sandals. I have vivid memories of visiting my cool Uncle Bobby the summer of 1990 in California. Every day, all day, he wore these colorful, velcro sandals he called “Tevas.” He’d change the pronounciation every day: Tee-vah one day, Tay-vah the next. But when we returned to the Show-Me State, Tevas were nowhere to be found. So, I waited. Four years. 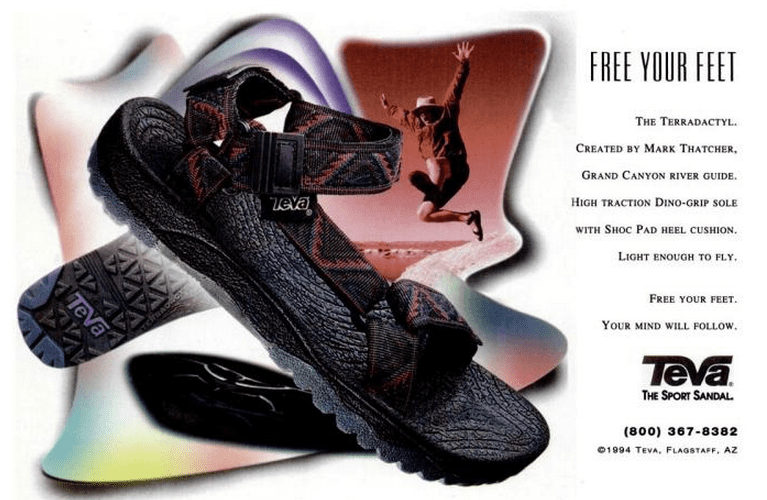 And suddenly, in the spring of 1994, Tevas had overtaken our community. It didn’t matter where we were, the Cardinal game, The Muny, I’d even jealously spot them on other kids Sunday mornings at church. 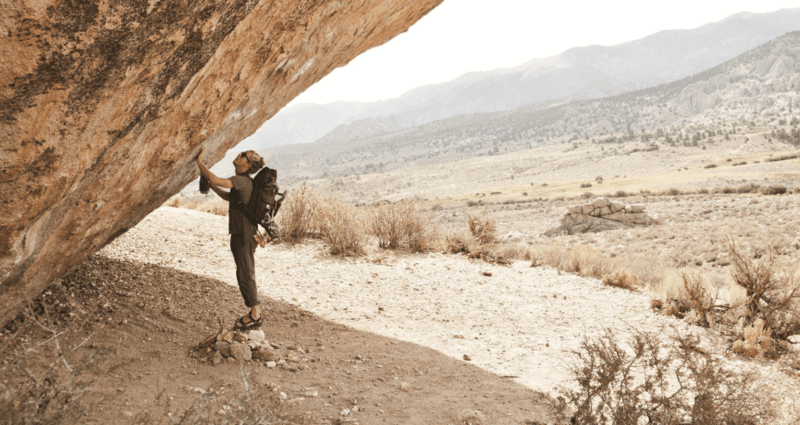 I remember reading about the forthcoming release of Teva’s Terradactyl in Backpacker Magazine and thinking it was going to revolutionize my summer. My mother promised she would buy them for me, if I finished the fourth quarter with straight As. “Imagine it,” I thought as I tried to focus on my vocabulary flash cards, “a plethora of summer days filled with prismatic Velcro sandals.” Having aced my vocab test and, well, all the rest, we headed to the mall. My mother lead the way to the hippie store with the rain sticks and the tie-dyed socks at the other end of the mall, and I proceeded to spend the next two summers “Dino-gripping” my way to and from swim practice and canoe trips and everywhere in between. Then something happened. Every time I turn around something emerges looking less like the thing it is supposed to be and more like something it is not: basketball shoes, kitchenware, the new Jeep Cherokee. But how could this happen to Mark Thatcher’s invention which Outside Magazine included in their list of the most influential gear of all time? The designers had taken over the asylum. The clean, classic, low profile, high functioning sandals began to look like spaceships and sports cars. The only thing that should look like spaceships and sports cars — I know it should go without saying — are spaceships and sports cars. 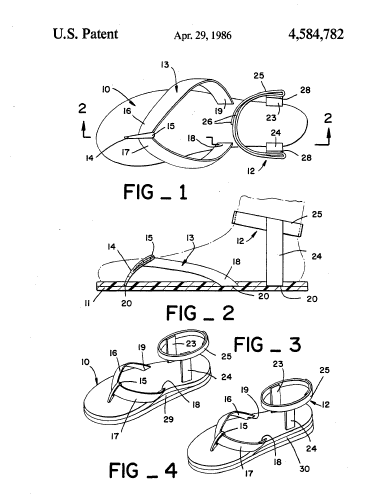 Well, sick of seeing crop after crop of over-designed tech sandals emerge onto the marketplace — Mr. Thatcher’s among them — I got a wild hair, and to tame it, I attempted to go down the DIY Velcro sandal rabbit hole. With a couple friends here in Chicago, I started to research the materials we’d need to make our own. And though our efforts were not quite as sad as the Teva Stilettos from a few years ago, they were pretty sad. 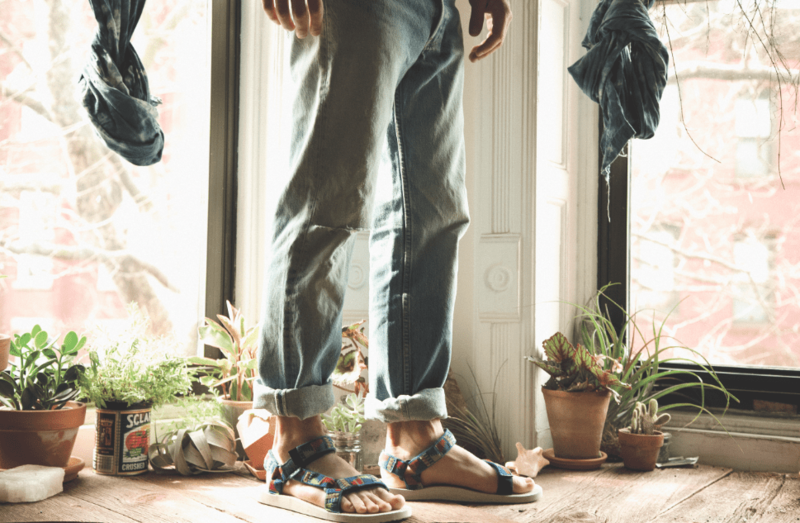 And just as I was resolving to purchase a pair of the collaboration between Teva and Japanese brand Head Porter, Cold Splinters’ Jeff Thrope told me about the forthcoming limited-edition offering of these timeless silhouettes. It’s with great pleasure I share a first look at an old favorite. Alongside these killer combos, they’re set to reveal exclusive retail collaborations stateside with Urban Outfitters and in Japan with Ships. I would imagine they’ll offer something like the original tribal webbing designs and possibly a version of the original 1984 style with the thong flip flop around the big toe. Look for them beginning May 15, 2013. Special thanks to Jeff for the head’s up, and thanks to Mikael Kennedy for many of the photos. I bought my Terradactyls (the ones in the photo with the zigzaggy pattern) in 1993 in Chicago for a one- year trip through South America. They have been with me on every trip ever since. South America – to get over a failed relationship – (Argentina, Bolivia, Brazil – where I met a nice young man who helped me get over said relationship… – , Chile, Colombia, Ecuador and Galapagos, Paraguay, Peru, Uruguay), North America (Canada, Costa Rica, Dominican Republic – the first vacation with my then future husband-, Guatemala, Jamaica, United States of America – where I live- ), Mexico, Australia – where my husband used to live – , New Zealand, Asia (Burma‎, Cambodia‎, Indonesia‎, Israel, Japan, Jordan, Laos‎, Malaysia‎, Nepal, Singapore and Thailand – where we live 6 months out of the year- ‎, Vietnam – where I met my now husband‎), Europe (Czech Republic, France, Germany – where I used to live- , Greece, Hungary, Ireland, Italy, Poland, Portugal, Spain, Turkey, United Kingdom, Vatican City), Africa (Egypt, Morocco, Tunisia). My Tevas were always there with me. About ten years ago, the velco needed replacing around the ankles and last year the side of the soles started to crack and I had them glued. Unfortunately, they came apart again in the Singapore heat a couple of months ago. I had to face the terrible fact that they finally needed to be retired – at least for the rugged trips. Hiking through Nepal, rafting in Chile, walking along beaches all over the world, climbing up to Macchu Pichu – and I could wear them with skirts for a night out – looking all dressed up. The perfect sandals. I have been looking for a replacement for the last several weeks. Nothing that Teva has to offer is as good. The quality is not nearly what it was then – now the soles are thin, the foot bed is less comfortable, the straps are half the width, the colors – well – there are no colors. Brown/black leather for the sturdier hiking sandals – not a substitute for the versatile colors of the fabric straps. And of course, Terradactyls are no longer made for women. 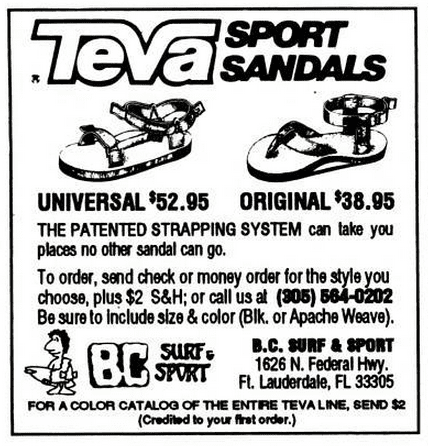 I so wish Teva brought them back. Limited retro – edition???? I feel very nostalgic as I am sitting here looking at some of the photos and thinking about all those trips that I have taken – with my perfect versatile all-color Terradactyls. I did order a new pair of Tevas. They are nothing like my original pair. But then – maybe my next trips won’t be either. They say change is good…….